When you’re facing a criminal charge, our team of Traverse City criminal attorneys can help you defend yourself to the fullest extent of the law. Even a criminal charge that seems relatively minor can wreak havoc in your professional and personal life. Your freedom may be on the line. You may risk losing your job. Chances are, you’ll need to pay large amounts of fines if you’re convicted. Fortunately, our Traverse City criminal lawyer team may be aware of defenses that you may not have even considered. Even if you’re charged with a crime, you’re innocent until proven guilty to a jury’s satisfaction. What looks like guilt to a police officer might not be guilt to a jury. When we evaluate a case, we start by talking to you. Our Traverse City criminal attorney group wants to hear from you about what happened that led to the charges. In many cases, your point of view is the first place to look for police errors. From there, we have ways to conduct our own investigation. We demand evidence from law enforcement using a process called discovery. In some cases, we use expert testimony to help explain circumstances to the jury. We review the case to make sure that law enforcement had a proper grounds to stop your vehicle. They must have had a reason to conduct a search. If they interrogated you in custody, they should have read you your Miranda rights. Any of these issues might be a viable defense. A Traverse City criminal lawyer can help you evaluate your case to make the best possible choices. If you receive a plea offer, we can evaluate the case to help you determine if it’s the best way to proceed. We can help you gather evidence to support your defenses and make sound decisions as your case moves through the court. There may be other options available. In some cases, you may have the option to take advantage of a drug court or a deferral program. Completion of these programs can result in complete dismissal of the case or a plea to a reduced charge. We can help you explore your eligibility for these programs and make the case to the court for your inclusion. 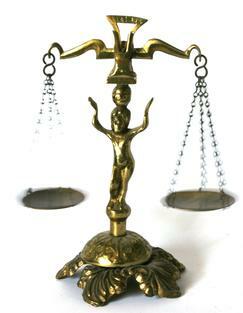 It’s important to retain a Traverse City criminal attorney as soon as possible. Your defense begins the moment you’re arrested or charged with a crime. There may be witnesses that you need to contact. Memories can fade and evidence can be lost. It’s important to begin immediately to build your case. When you arrive at your arraignment, you’ll likely talk about bond conditions. We help our clients secure favorable bond conditions so that they can continue to work or comply with testing requirements. In some cases, we can also help you schedule court dates at your convenience. We can make sure that you’re in full compliance with any court requirements so that you don’t have unexpected problems. Whether your charges are large or small, our attorneys Traverse City have years of training and experience that we can put to work for you. We aim to help each client resolve their case to their satisfaction so that they can get back to their life as quickly as possible. If you’re facing a criminal charge, please contact us today at (231) 486-6366.